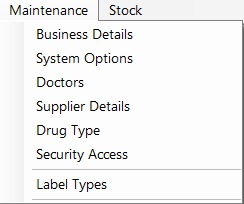 If you make a drug type Inactive, it will be hidden from any Drop Down Lists, stock Takes etc. A Tick in the Active Box will make it visible. Only programmers can add an entry either manually within the form or through an update. 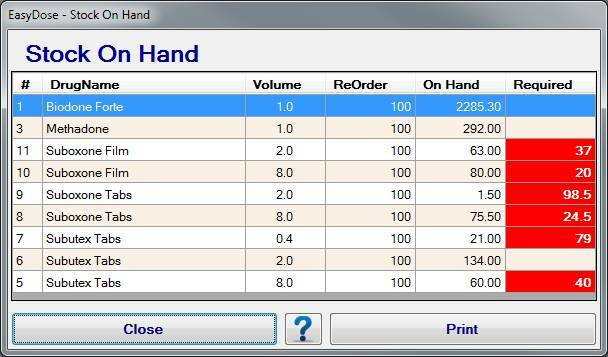 The Re-Order Level is used in the Stock On Hand Form and triggers when the stock levels reach or are lower than the Re-Order Level. If a particular drug is not used in a pharmacy, the drug can be removed from view in many forms and reports by making it inactive. Only a Level 1 Administrator has the ability to set Re-Order Levels and to change the status of a drug. The drug will not appear in many situations.